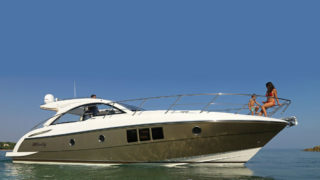 Windy Boats are the highest quality and most respected Sports Boats and Performance Yachts available today. The Windy ethos is one of a boat builder and not of a mass-production manufacturer, resulting in a sense of responsibility, enthusiasm and pride from all those involved in the design and production process. Berthon International are exclusive distributors for Windy Boats in the UK, France and Ireland. Our more than 20 years’ experience working with the Windy shipyard enables us to offer full after sales support, berthing, guardianage as well as both new and used boat sales.